Jobs in the healthcare industry continue to grow faster than the average of other occupations despite a sluggish economy. If you have a strong passion for helping patients live a healthier life, healthcare is just the right area of work to be employed in. One of the most sought-after jobs in healthcare or medical industry is nursing. Even when you choose to become a nurse, there are several specializations and career alternatives to choose from. There are more than 2.5 million nurses working in the healthcare industry already. Still, the industry needs more. Whether it’s a hospital, a clinic, a physician’s office or a nursing home, nurses are in high demand. If you already have an interest in becoming a nurse, you might have a general idea about what this occupation is all about. However, it’s important to have a closer look at what a nurse’s every day duties include. Though a nurse has to perform all the duties mentioned above, their day-to-day responsibilities may also vary depending on their levels. There are several specialties and positions in the field of nursing. Advance level nurses may work on their own. They may prescribe medications for patients. They may also handle a patient’s diagnostic process. As mentioned above, nurses may choose to specialize in a particular field of nursing. Let’s have a quick look at some of the most well-known specialties nurses can choose from. There are many more specialties. As you start pursuing this healthcare career, you’ll gain more knowledge about the different specialties and career alternatives that the occupation of nursing offers. The job title that suits you best will depend on the kind of educational qualification and training program you have completed. You can become a nurse by completing a one-year nursing program offered by community colleges. This is the quickest route to step into nursing. With this one-year program, you’ll be able to occupy entry level positions as an LPN or LVN. For becoming a RN, however, you’ll need to obtain a diploma, an associate degree or a bachelor’s degree in nursing. For licensed practical nurses and licensed vocational nurses, it’s essential to clear the National Council Licensing Examination for Practical Nurses (NCLEX-PN) for obtaining license. To fulfill the licensure requirements, RN or registered nurses, are required to go through the National Council Licensing Examination for Registered Nurses (NCLEX-RN). It’s advisable to go for a Bachelor’s Degree in Nursing (BSN), which takes around fours for completion. Most of the Registered Nurses obtain this degree. Completing a bachelor’s degree will ensure you build a successful career in nursing and earn a handsome salary. Apart from fulfilling the educational requirements, you should also develop or grow the essential skills that are required for nursing jobs. 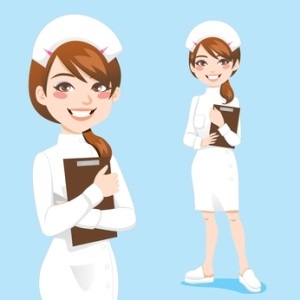 To performyour job as a nurse with full efficiency, you should carry strong people skills, good communication, team-playing skills, adaptability, flexibility, determination and the ability to conduct research. Do you want to become a nurse too? Please let me know your plans. This entry was posted in Career and tagged nurse, nursing on August 27, 2013 by Carl Mueller. Wow that was strange. I just wrote an extremely long comment but afger I clicked submit myy comment didn’t appear. Grrrr… well I’m not writing all that over again. Anyway, jjst wanted to say great blog! for his web site, as here every data is quality based stuff.